This site is being hosted by the National Center for Atmospheric Research/Earth Observing Laboratory (NCAR/EOL). 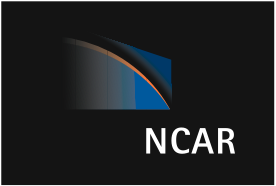 NCAR is managed by the University Corporation for Atmospheric Research (UCAR) on behalf of the National Science Foundation . The Bering Ecosystem Study (BEST) is an NSF sponsored program that will give researchers an opportunity to gain improved understanding of the linkages between variations in Bering Sea ice cover and the biology of the waters and benthos beneath. This project will require extensive measurements and analysis of water properties and chemistry, ice cover properties and biomass and related processes. A collaborating project, BSIERP (Bering Sea Integrated Ecosystem Research Program), sponsored by the North Pacific Research Board (NPRB), will collect data in the same region at the same time in an effort to improve understanding and prediction of ecosystem changes related to anthropogenic and natural causes. Together, these complimentary programs will provide an unprecedented amount of data that will be important in understanding the science and impacts of climate change in the Bering Sea region. and the physical oceanography of the eastern Bering Sea? marine ecosystems of the eastern Bering Sea? BEST will investigate connections between external forcing mechanisms and hydrographic structure and physical processes. Two major external physical forcing mechanisms dominate the eastern Bering Sea - atmospheric forcing (solar insolation and winds) and transport of water through the Aleutian Passes and Bering Strait. Variability in these forcing mechanisms occurs on all spatial and temporal scales, including local episodic events (storms), interannual variability at the scale of the eastern Bering Sea, and decadal- and climatic-scale events at North Pacific and global scales. Issues of particular importance include resupply of nutrients to the eastern continental shelf, the role of flow through the Bering Strait, and how the location, timing, frequency, and intensity of storms affect shelf ecosystems. BEST will investigate the connection between physical aspects of the marine environment and the response of the biota of the eastern Bering Sea. Mechanisms of interaction that are particularly important include: 1) stratification of the water column, which affects the availability of light and nutrients needed to support primary production, as well as the vertical distribution of many of the smaller planktonic organisms, 2) sea ice, which affects light, water temerature, and the availability of substrate, and 3) water temperature which affects the rates at which physiological processes occur and is also a habitat variable to which fish respond behaviorally. The BEST Program will also develop tools for integrating the effects of climate change across spatial and temporal scales, with the goal of forecasting how the ecosystem might be expected to behave under different climate scenarios. It is vital to the future economic and social well being of the region that we understand how processes controlled by climate influence the productivity of the Bering Sea. Thus the goal of the BEST program is to understand and predict the impacts of climate change on the marine ecosystems of the eastern Bering Sea and their sustainability. major effort toward indigenous observation and knowledge documentation in five Bering Sea communities. The project was initiated by the villages of Nelson Island and vicinity in collaboration with the Calista Elders Council (CEC) and long-time consulting anthropologist Ann Fienup-Riordan. Starting in 2008, NPRB and NSF combined talented scientists and resources for three years of field research on the eastern Bering Sea Shelf, from St. Lawrence Island to the Aleutians, to be followed by two more years for analysis and reporting. More. . . The Field Catalogs from all supported BEST cruises are now available here. Datasets from the cruises can be found here. For Cruise tracks, event logs and reports from particular cruise please check here. This is a collection of photos taken by participants from previous BEST cruises. These photos depict conditions and scenery in the Bering Sea as well as people and life aboard the USCGC Healy during a research expedition. More. . .